Waking during the night to rain and wind was not encouraging for our day ahead. But as we drank our tea in bed the rain abated and we hoped the wind would follow suit. 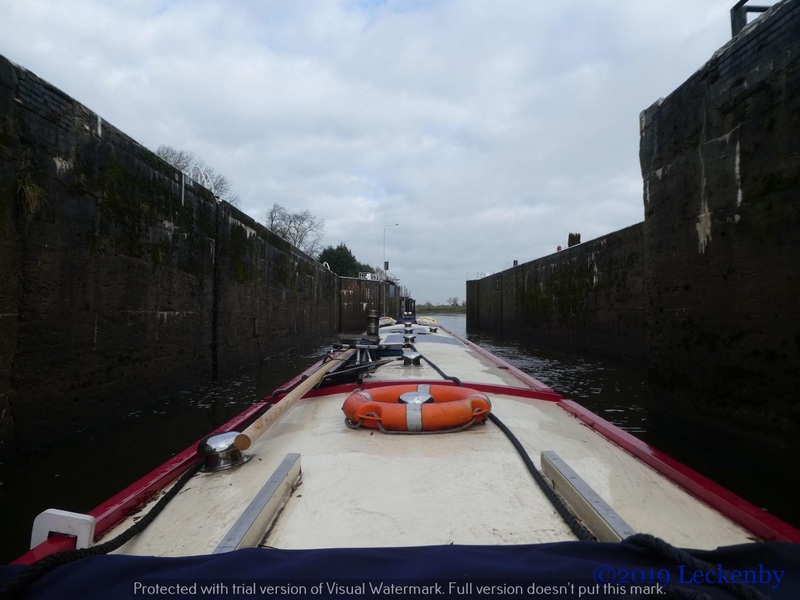 Mick called Keadby Lock to check that all was still good for us to set off today and it was. All systems were go. After breakfast we got ourselves ready, layers on, everything was tied down on the roof, our tyre fenders came inside and into the bathroom sink. Whilst Mick checked the weed hatch I cleared the well deck of anything that might get in my way should the anchor need deploying, this filled the shower up quite nicely but put Tilly’s nose out of joint because that is where her water bowl lives! 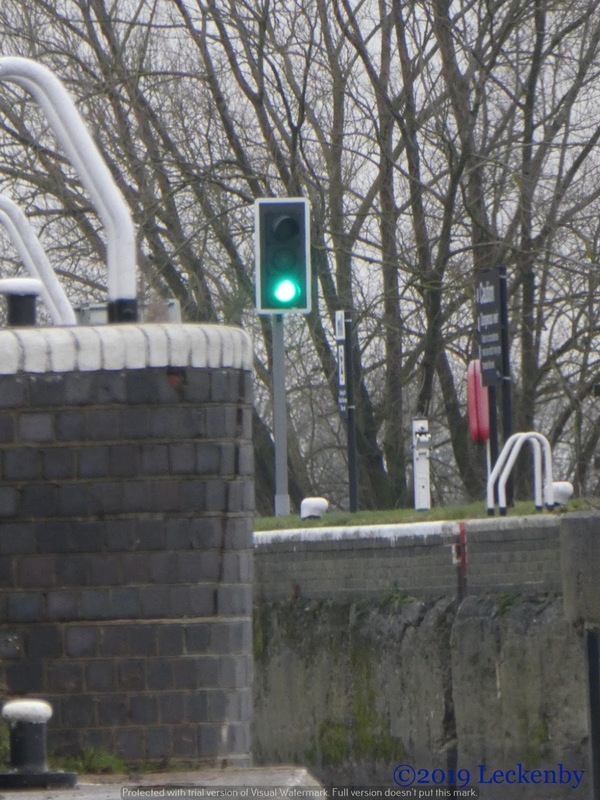 The lights at the lock turned green at about 10:20 and we pushed back about ten minutes later, winded and headed for the open lock. 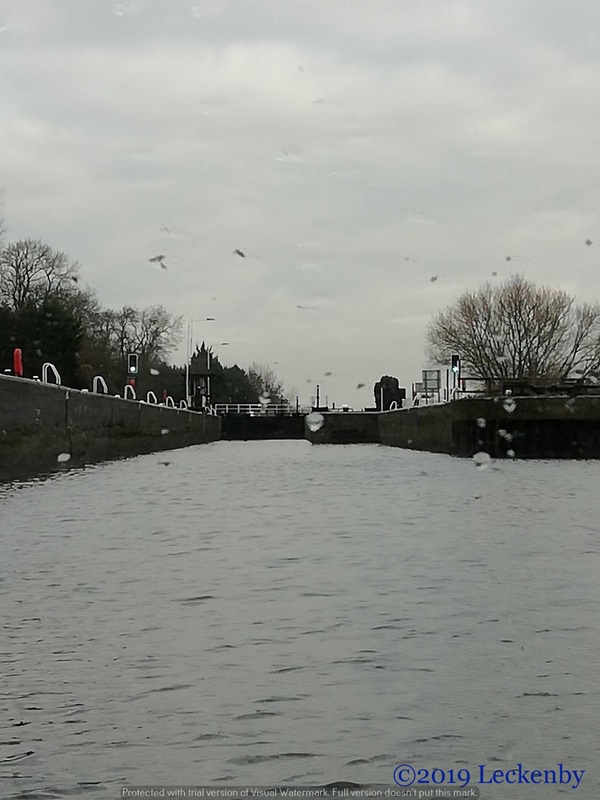 As the gates opened to let us out onto the Tidal Trent we waved a shouted thanks up to Sean in his cabin. We were now out onto the river on our own. What wind we had was from behind us, until the river turned our course and put us head on into it. But these moments were few and far between, the sun came out and there was no sign of any rain. I quickly realised that I’d not thought about navigating glasses before I came outside, I had my distance ones on not my bi-focals. With these changed I could see both where we were going and our chart properly and adjust our course as required. The tide helped us along this now fairly familiar section. 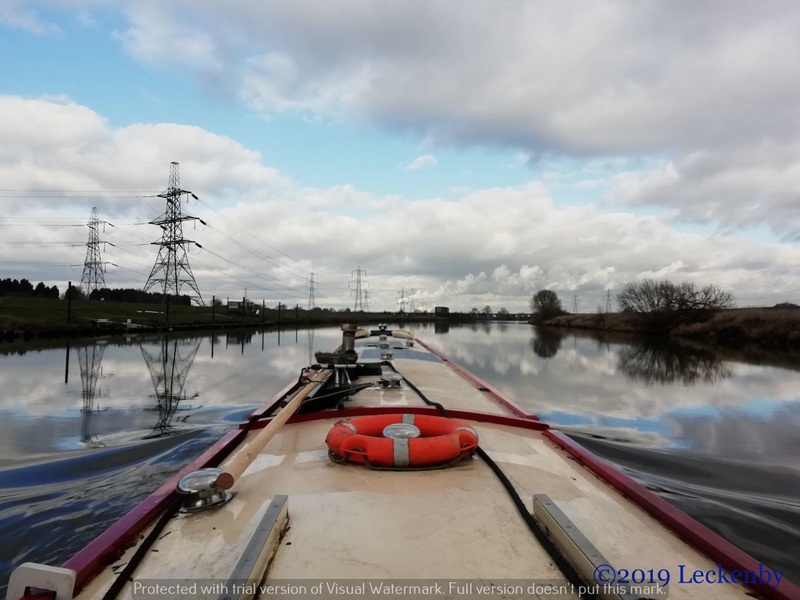 The occasional lining up (which maybe isn’t really needed on a narrowboat) with pylons and windmills came back to us as we approached them. Sunken Islands avoided and no need to be wary of water skiers as the river was empty other than us. 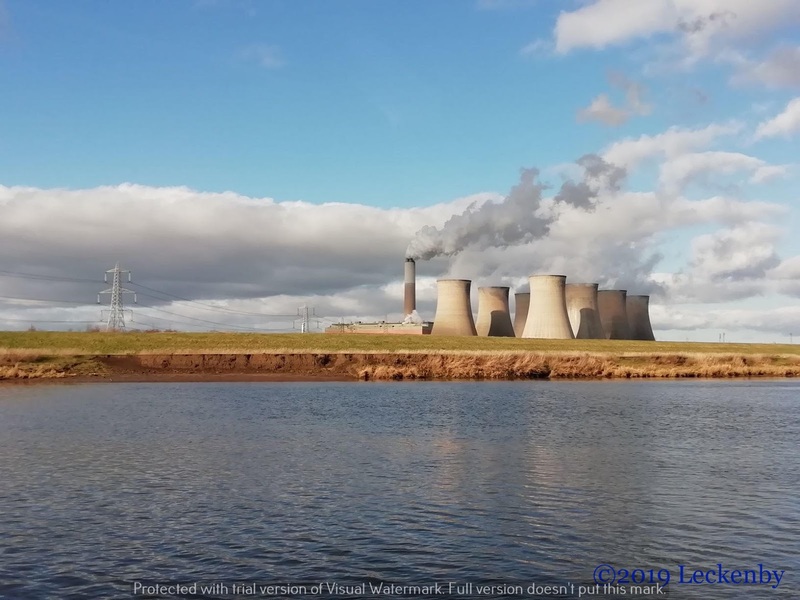 The shape of the cooling towers at Cottam Power Station soon appear in the distance gradually getting closer. 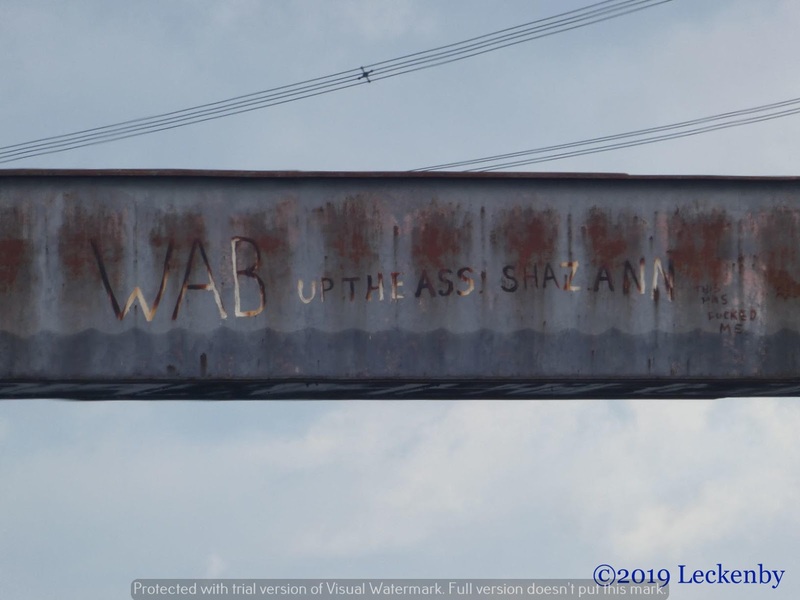 At Fledborough Viaduct we lined ourselves up to go through the correct opening, the graffiti now almost all washed away until you are up close. 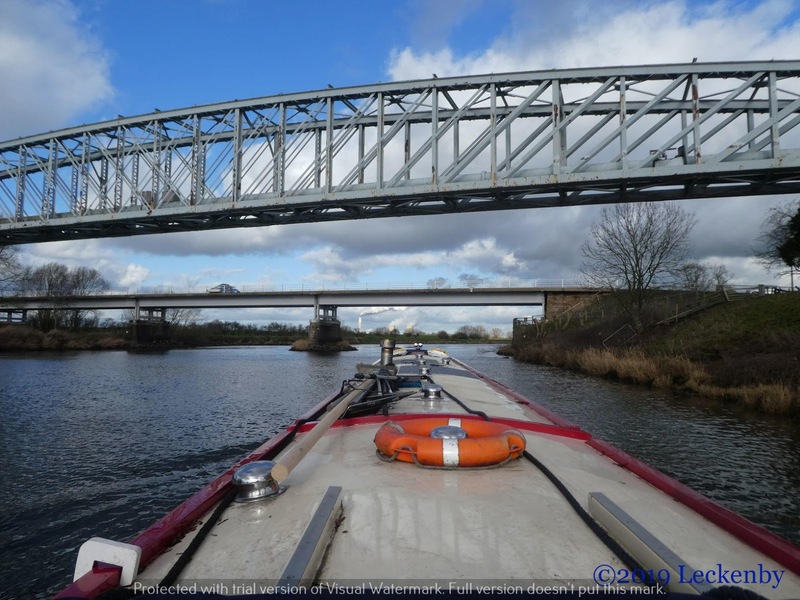 Once under Dunham Bridges and clinging to the east bank for a while to avoid the shoal we then had a short distance to travel before the power station heralded our arrival at Torksey. We turned into the cut, empty but for a few fishermen and chose where we wanted to moor for the night. A very pleasant few hours cruising with the sun out and no need for balaclavas. After lunch a butternut squash and chickpea goulash went onto the stove to slowly cook, sadly I should have done this much earlier in the day as the squash was still quite hard by the time I wanted to add some yoghurt dumplings to the top, so an hour in the oven was needed, but my it was tasty. A good job really as we’ve got enough for another meal. Cruising sausage rolls were prepared for tomorrow, ready just to have egg wash added and baked. 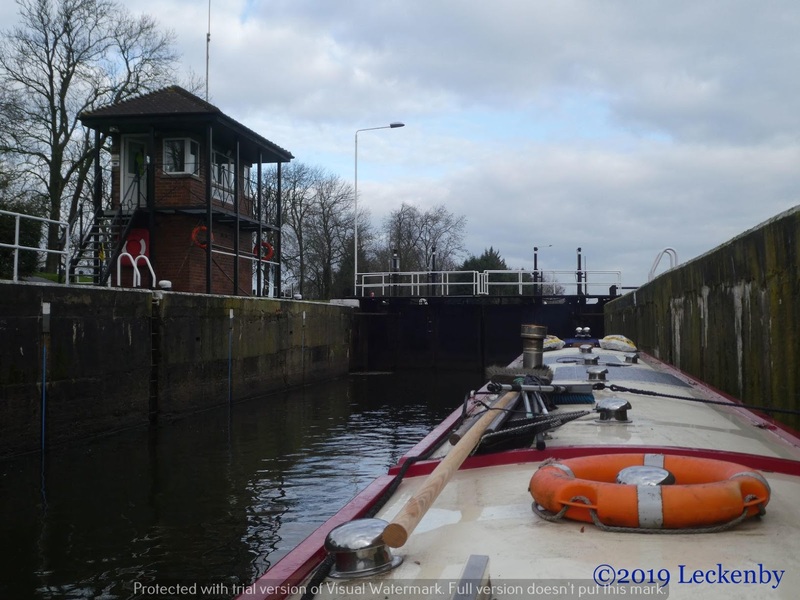 At around 7:20pm I felt Oleanna rise in the water, the mini Aegir had just come along the lock cut. It felt like only minutes for us to rise with the incoming tide. 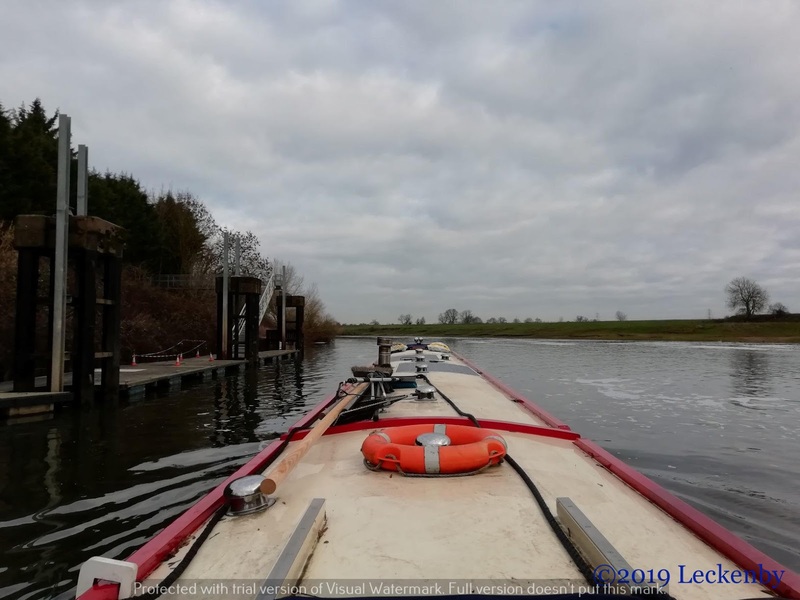 If tomorrow is like today we’ll have a lovely cruise to Keadby, just a shame that fog is forecast for the morning, here’s hoping it clears quickly otherwise we’ll have to postpone the next leg on the Trent. 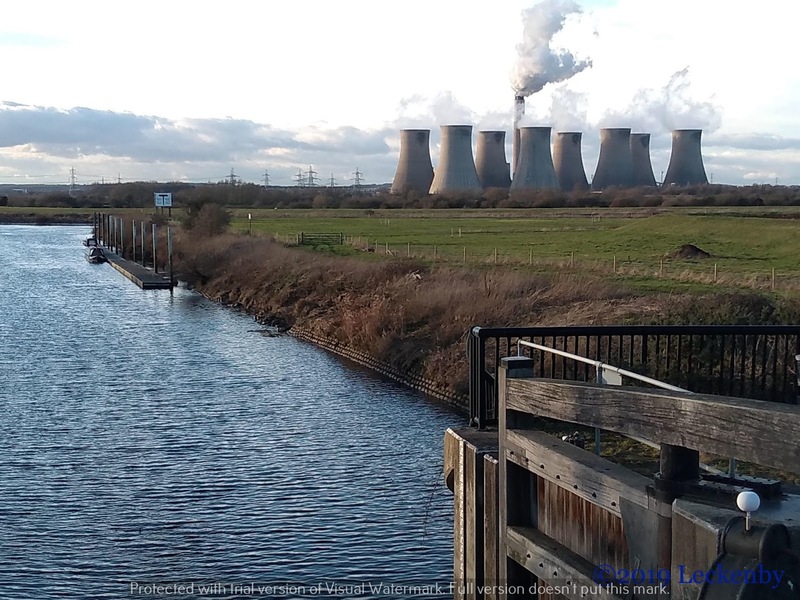 1 lock, 16.49 miles, 1 right, 8 cooling towers, 0.75 glove made, 400gms squash, 250gms lacking of mushrooms, 12 yoghurt dumplings, 1/3rd the way to Keadby. 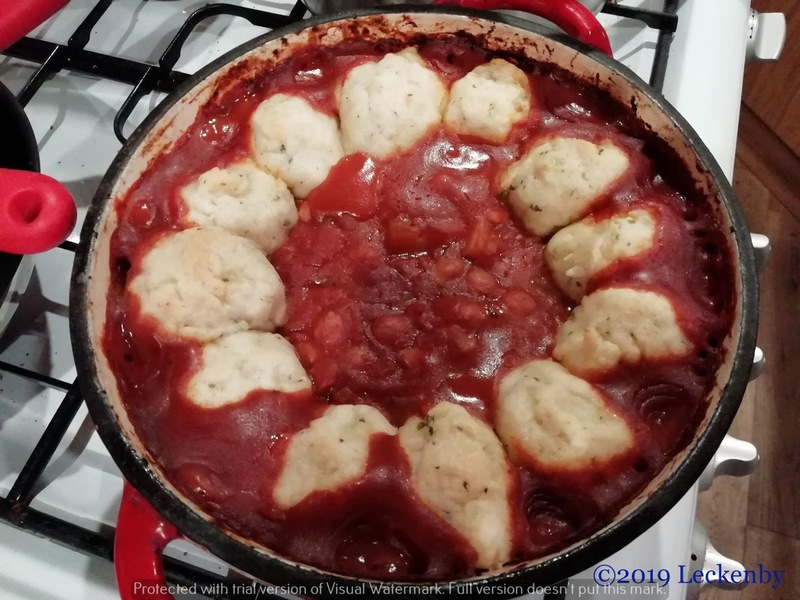 This entry was posted in Uncategorized on 6th Feb 2019 by pipandmick. 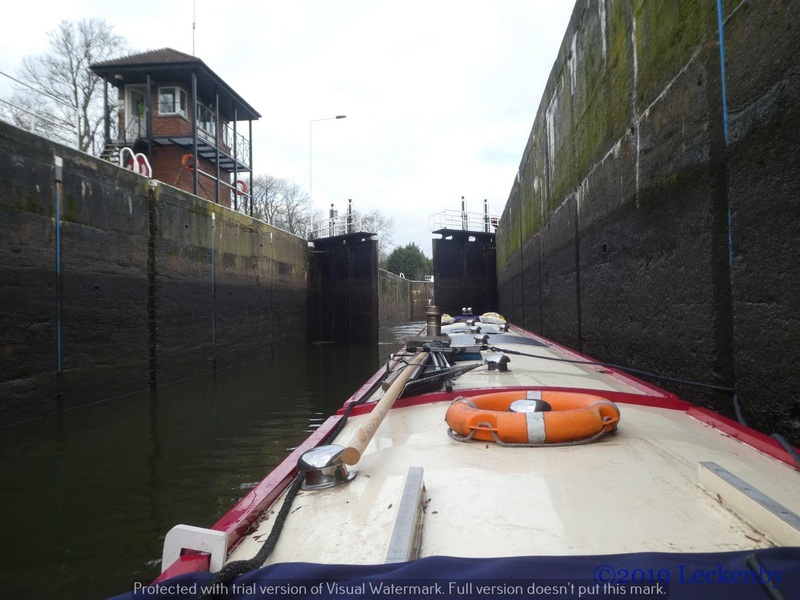 Make sure you are moored somewhere sheltered on Friday. The weather forecast looks awful with heavy rain and high winds forecast. We plan to be tucked up nice and warm with penty to eat and drink. Hoping for a mooring with no trees but sheltered to come our way today. Did you call to the White Swan for a pie? Naughty-Cal there was too much goulash to eat, so not this time. I hear their steak pies are very good, but I suspect full of tasty gluten.